Hands up who has “become a Pilates master” on their new year's resolution list? It may have even lapsed from last years failed resolutions. Can you really count attending classes for one month of the year a success? Pilates (alongside HIIT. yoga & group workouts) is a fitness trend that isn’t going anywhere. Here's why you should get on board in 2018. Let’s be real, your goal last year was to get fit and stop eating so much pizza. You tried and succeeded for the first few weeks, then your favourite pizza joint sent you a buy one get one free offer that you just couldn’t resist. You’re not the only one, but a balanced diet with the occasional treat combined with the power of pilates as part of your exercise routine can deliver the goods. Pilates is the perfect place to start as you can do it anytime, anywhere. Not a fan of the gym? Don’t worry, your Pilates workouts can be practised in your home or at a local park so you have no excuse not to try! There are a number of Pilates DVD workouts that help you to use equipment like the MVE Reformer/ FIt Reformer in your home. You might have seen about the Kardashians doing something similar in their homes (so we read). Pilates is also great as you don’t just have to focus on one part of the body or muscle group. Your whole body will be engaged, strengthened and lengthened. This is the art of Pilates, you learn to understand your body whilst using your breath to fuel each movement and achieve definition in no time. A New Year can mean new confidence. Pilates isn’t just great for your health but brings gains in self-confidence as well. Learning to love and understand your body as part of a group means going on a journey. Joining a class can be a huge confidence booster, you’ll be amongst like-minded people who can encourage you to keep up with your goal. You may even make a friend for life! Been feeling slightly off balance lately? Needing an energy boost to start your day instead of that morning coffee? Feeling like you need to become more in touch with your inner self and gain some self-awareness? These are all things that Pilates supports, helping you achieve the best possible self you can. Ever felt out of place whilst training at the gym? The gym culture is not for everyone but that’s okay. Pilates is a workout you can practice from the comfort of your own home if you please. It is one of those sports suited to anyone and everyone, no matter your age, gender or fitness level. Each move can be altered and adjusted for your individual needs so you always feel in control and comfortable. 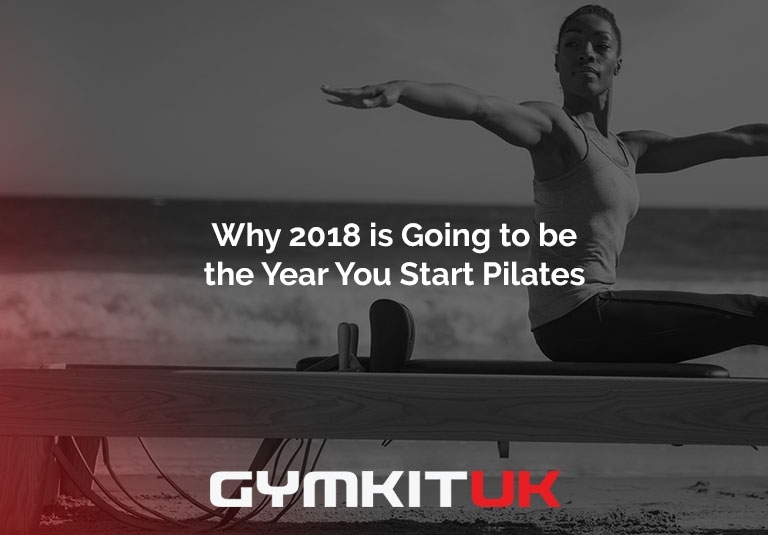 With an ongoing list of benefits, Pilates is the perfect practice to incorporate into your exercise regime in 2018 and experts like Peak Pilates are primed to help all on their journey. As retailers of the well known industry expert Peak Pilates equipment we are more than ready to help recommend the right solution to compliment you Pilates workout, from full Cadillac Convertible with Ropesthrough to the Peak Pilates Total Workout System and accessories like the Long/ Short box.